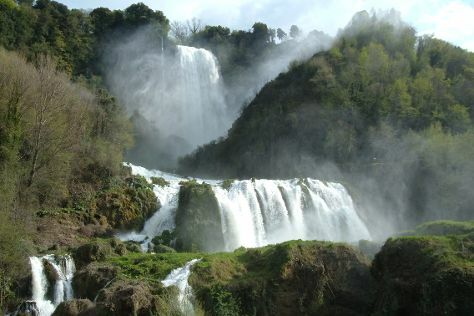 Explore hidden gems such as Cascata delle Marmore and Duomo di Orvieto. Explore Rome's surroundings by going to Parco Archeologico di Ostia Antica (in Ostia Antica), Villa d'Este (in Tivoli) and Spoleto (Cattedrale di Santa Maria Assunta Spoleto & The Tower's Bridge). There's much more to do: contemplate the long history of St. Peter's Basilica, admire the striking features of Pantheon, ponder the design of Trevi Fountain, and explore the world behind art at Galleria Borghese. Plan a trip to Rome easily and quickly by telling Inspirock to suggest an itinerary. In June, daily temperatures in Rome can reach 34°C, while at night they dip to 21°C. Wrap up your sightseeing on the 19th (Tue) to allow time to travel back home.